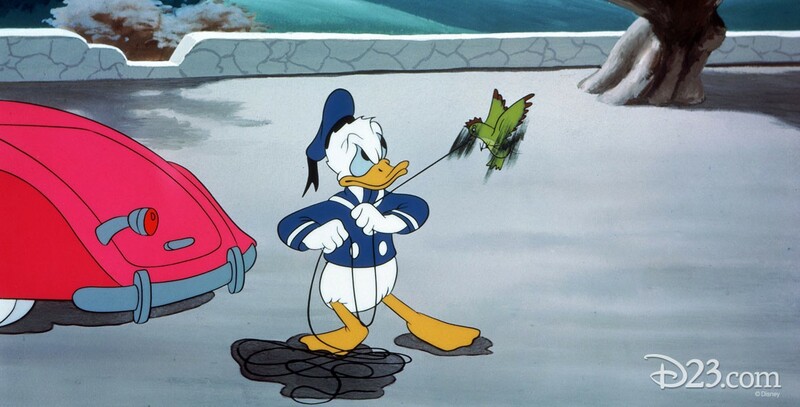 Wet Paint (film) Donald Duck cartoon; released on August 9, 1946. Directed by Jack King. A bird, Susie, ruins Donald’s new paint job on his car, damages his upholstery, and unravels his hat while gathering nest material. He is about to get her with an ax when he sees Susie’s babies and gives up.